Dr Agi Brandt-Talbot is an independent Research Fellow in the Department of Chemistry at Imperial College London. She has authored over 26 scientific articles with more than 2500 citations and holds licensed 3 patents. Dr Brandt-Talbot's research interest is creating bio-derived materials and chemicals from sustainable biomass and the application of novel tailor-made solvents. 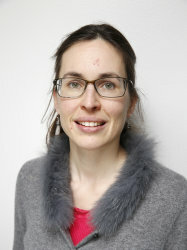 Dr Brandt-Talbot was awarded Imperial's President's Award of Excellence for Outstanding Early Career Researcher in 2015, the Department of Chemical Engineering's Sir William Wakeham Award in 2016, and a 2017 Imperial College Research Fellowship which she has taken up in the Department of Chemistry. She is co-founder and Chief Scientific Officer of start-up company Chrysalix Technologies. Dr Brandt-Talbot received a BSc and an MSc from Ludwig-Maximilians-University Munich, Germany. She joined Imperial College with a Porter Institute funded PhD studentship and was a Research Associate in the Department of Chemical Engineering. She has also been the Business Manager of start-up company Econic Technologies. In the last century the chemical industry has come to rely on the use of petroleum, 5-10% of petroleum is converted into myriads of useful compounds and materials, such as medicines, packaging, furniture and clothing. petroleum is also the source of carbon fibres, a key ingredient in carbon fibre reinforced composites which can replace steel in the construction of cars. Despite our extensive experience with oil as a source of fuels and chemicals, further use is deemed unsustainable, due to its contribution to climate change (petroleum use accounts for 1/3 of human CO2 emissions). We hence need to develop new chemical processes based on renewable feedstocks. Lignocellulosic biomass is the best option for providing the next generation of chemical building blocks in a timely manner: it can be grown in large quantities in diverse locations, with a potential for large greenhouse gas emissions savings and with benefits to rural communities. Benefits can be maximised by transforming all components contained in the biomass into fuels, chemicals and materials in what is called the integrated biorefinery . A key solution is applying low-cost ionic liquids in biorefining, including the production of low-cost renewable carbon fibres from the biorefining waste product lignin. We are now looking for excellent PhD candidates for a start in autumn 2019 in the area of 'Tailored carbon fibres from lignin'. Please sent a CV and a cover letter to Agi Brandt-Talbot. Candidates with an outstanding track record can be supported for visiting postdoctoral scholarships, if they have identified a suitable funding source.